A quick guide on how to use the Living Archives Yammer group. Below explains how to choose what notifications you want to receive from our project group. 1. 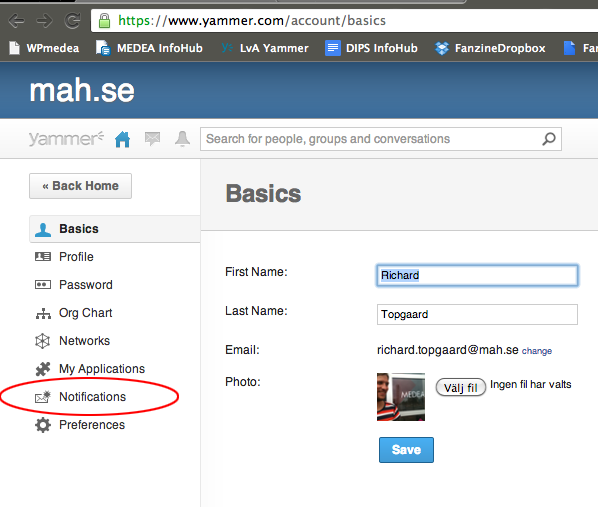 Go to yammer.com and click “edit account”. 3. Make sure that the Living Archives checkbox is checked under the heading “There is new activity in the following Groups”. This means that ALL new activity in the group is also sent to your e-mail inbox. 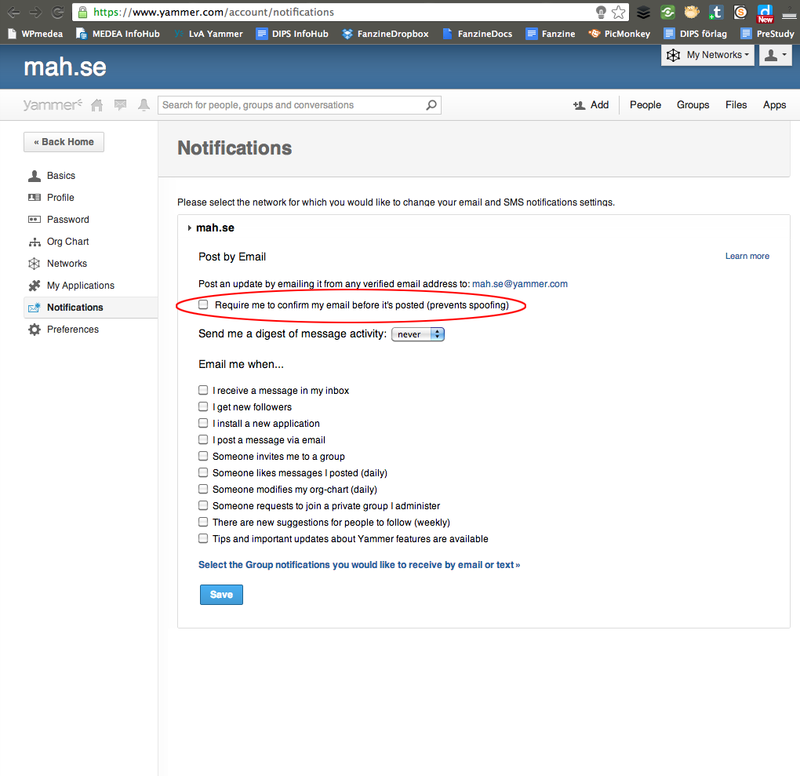 Below explains how to post a message to the project Yammer group from your e-mail, using the address livingarchives+mah.se@yammer.com. 3. If checked, UNCHECK the box next to “Require me to confirm my e-mail before it’s posted”. 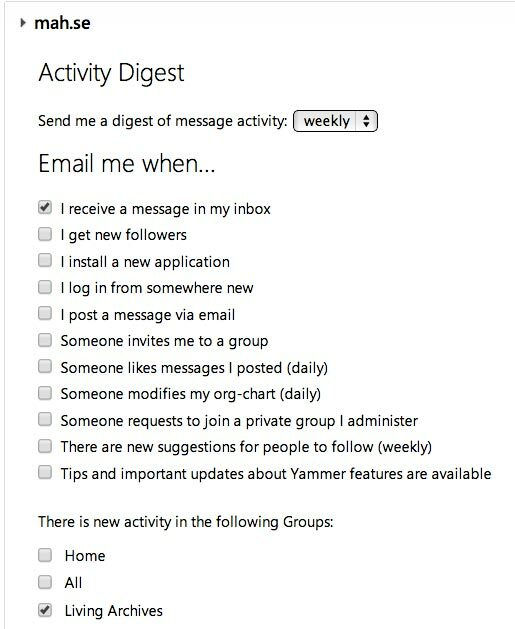 Here, you can also choose what types of Yammer messages you want to receive a copy of in your regular email inbox. 4. 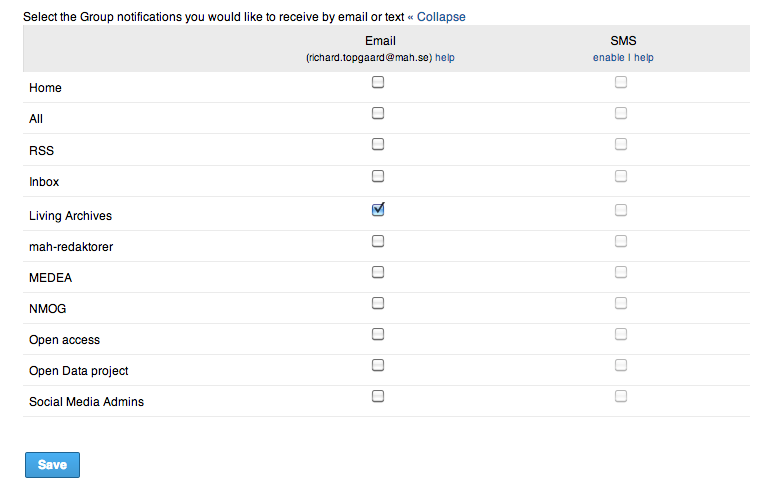 You can also choose what e-mail notifications you want to receive per group.